Lei Wu is a research fellow in the Medical Devices research group, Department of Life Sciences. He has currently involved in the projects about multiplex phenotypic and molecular characterization of circulating tumor cells in microfluidic devices. He received his B.S. 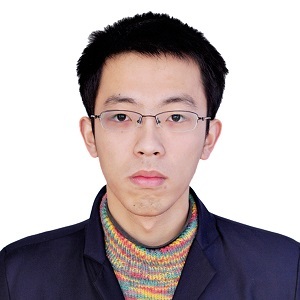 in electronic science and engineering in 2012, and his PhD in optical engineering in 2017, both from Southeast University, China. His PhD project was on “Multiplex protein sensing chip based on surface-enhanced Raman spectroscopy (SERS)”. Wu, L.; Wang, Z. Y.; Zhang, Y. Z.; Fei, J.Y. ; Chen, H.; Zong, S. F.; Cui, Y. P.
In situ probing of cell–cell communications with surface-enhanced Raman scattering (SERS) nanoprobes and microfluidic networks for screening of immunotherapeutic drugs. Nano Research 2017, 10, 584-594. Wu, L.; Wang, Z. Y.; Fan, K. Q.; Zong, S. F.; Cui, Y. P.
A SERS-assisted 3D barcode chip for high-throughput biosensing. Wu, L.; Wang, Z. Y.; Zong, S. F.; Cui, Y. P.
Rapid and reproducible analysis of thiocyanate in real human serum and saliva using a droplet SERS-microfluidic chip. Biosensors & Bioelectronics 2014, 62, 13-18. Wu, L.; Wang, Z. Y.; Zong, S. F.; Chen, H.; Wang, C. L.; Xu, S. H.; Cui, Y. P.
Simultaneous evaluation of p53 and p21 expression level for early cancer diagnosis using SERS technique. Wu, L.; Wang, Z. Y.; Zong, S. F.; Huang, Z.; Zhang, P. Y.; Cui, Y. P.
A SERS-based immunoassay with highly increased sensitivity using gold/silver core-shell nanorods. Biosensors & Bioelectronics 2012, 38, 94-99.